Before our trip to Buffalo I reached out to a few people asking for any hot tips on abandoned spots to explore. There's a tendency in the "urbex" (I hate that word) community to keep spots secret, which annoys me even though I logically understand the reasoning. The Buffalo Central Terminal came up in conversation and while I was researching, I discovered that—while it has sat "abandoned" for some time—it's been owned and cared for by the Central Terminal Restoration Corporation since 1997. Once a month they offer tours for $15 and we were lucky that the tour fell on our last day in town (although we did have to leave early, ironically, to catch our train). 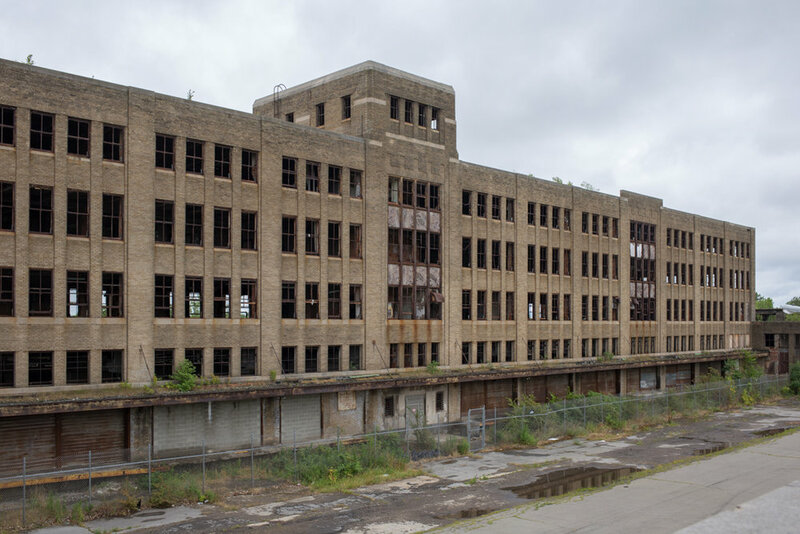 Although the idea for Buffalo Central Terminal was in the works for more than 40 years, construction began in 1925 and the terminal officially opened in 1929. The 17-story, Art Deco-style station was designed by the same architect that designed Grand Central Terminal, Alfred T. Fellheimer. The complex comprises several interconnected structures, including concourses, an office tower, baggage building and mail building. A Pullman Company service building, an ice house, a coach shop and a power station were torn down over the years to lower property taxes. 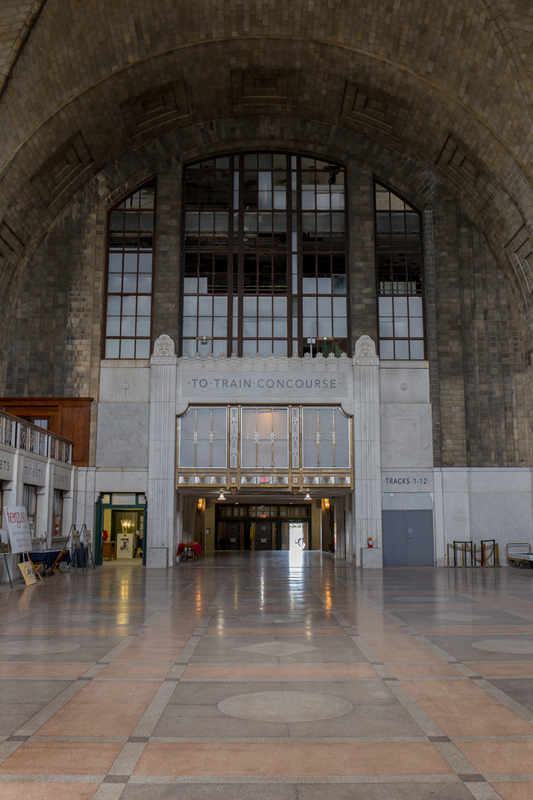 The terminal hosted trains from the New York Central Railroad (its owner) as well as from the Canadian National Railway, Pennsylvania Railroad, and the Toronto, Hamilton & Buffalo Railway. 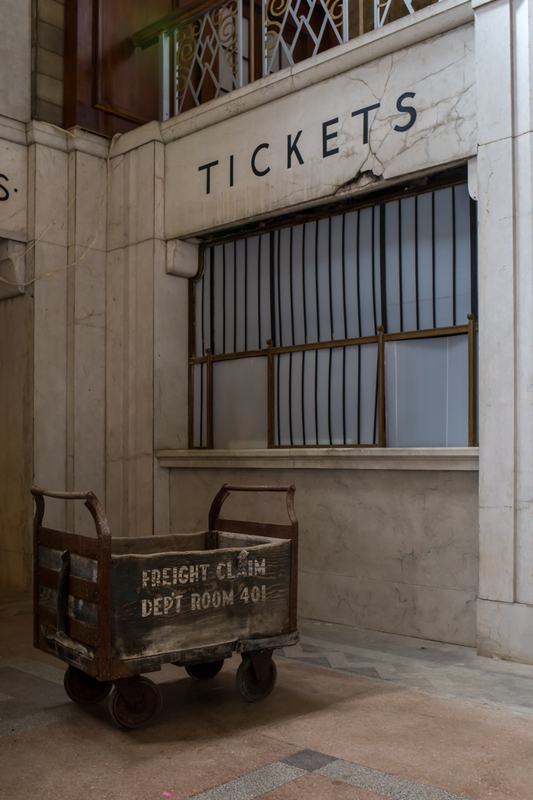 Right after opening it was servicing 200 trains daily, although almost immediately the Great Depression and the rise of the automobile led to a decline in train traffic. In 1956 the terminal was put up for sale for $1 million. With the creation of Amtrak in 1971, service was restored to Niagara Falls and Toronto via the Maple Leaf, but the station was simply too big and expensive to maintain. In 1979 Amtrak opened the much smaller Buffalo-Depew station, and the last train departed the Central Terminal at 4:10 am on October 28, 1979. 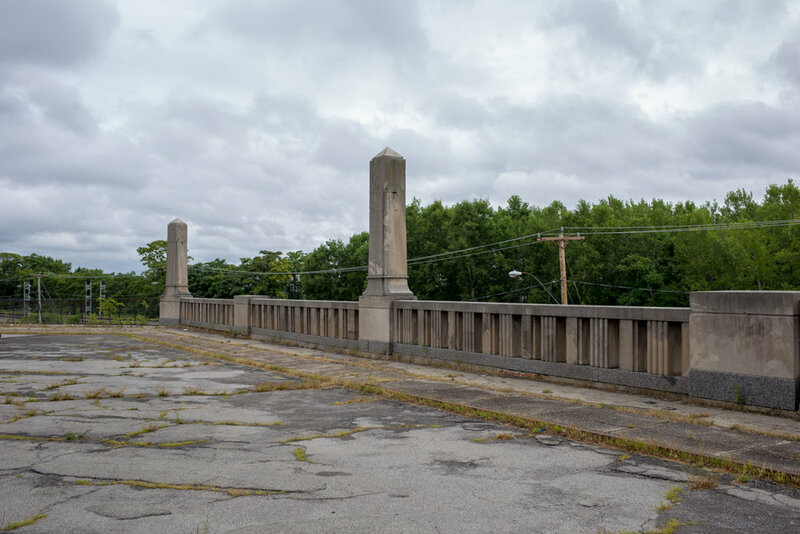 The terminal was sold to Anthony T. Fedele for $75,000, but when he defaulted on his taxes in 1986, the property was put up for auction and sold to Thomas Telesco—the only bidder—for $100,000. He had plans for a banquet hall or to return train service to the building, but those fell through and the building transferred hands once again. Anything of value was taken from the structure and sold for scrap, aiding in its decay. The building wasn't secured and vandalism was rampant. At the beginning of the tour, our guide asked people to raise their hands if they'd previously visited the terminal, and when he asked "how many of you came here when you weren't supposed to?" most of the hands stayed raised. 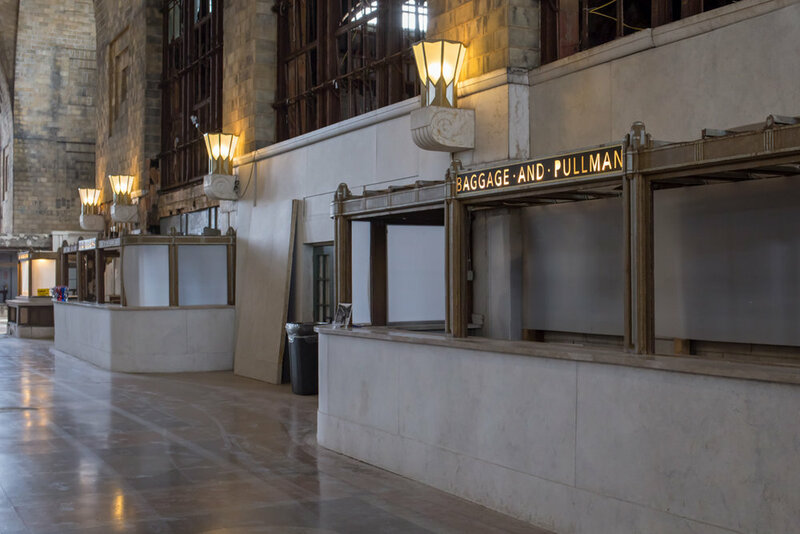 The Central Terminal Restoration Corporation has done a lot over the years to rehab the terminal, but a lot of work remains. In 2005, the concourse clock was found in an antique shop, purchased thanks to a public fundraising effort and returned to the terminal in 2009. Repair and restoration of the roof was completed in 2015, signs are being repainted and fixtures are slowly being found and returned. In 2016 the terminal was a backdrop to both a Goo Goo Dolls music video and scenes from the movie Marshall, the production of which contributed $90,000 in cosmetic improvements to the concourse. While I would have loved to explore it on my own back when it was truly abandoned, I'm always happy when a grand old ruin gets a second (or third, or fourth) chance.